There are multiple reasons for why you would want to set up a blog, but looking at the broader picture, a blog is mainly setup either for personal or for online business. Regardless of the reason, you must keep one thing in mind: the hosting service you host your blog on needs to be as easy to use and reliable as possible. Why you need a good blog hosting service provider? How to be certain about a web hosting service provider? There is only one good option for your blog: WordPress! Whether you create your blog for professional or personal reasons, one thing is absolutely definite; you are going to invest a lot of time and hard work in developing your blog, adding content to it and getting followers on it. Are you willing to let all that hard work go to waste? Of course not! However, that is exactly what can happen if you end up choosing a bad web hosting service provider. Honestly speaking, there is no single criterion on which you may base your decision when choosing a web hosting service provider to host your blog. There are many factors which you may analyze, such as cost, reviews and general outlook, but there is a fat chance that you are still going to end up with a bad web hosting service provider. WordPress was founded back in May 2003 by Matt Mullenweg and Mike Little, and has gained a lot of popularity within just a decade: enough to be crowned the best blog hosting website on the internet. What makes WordPress so preferred, you may ask? Well, there are many reasons why you should only use WordPress for all your blogging needs. WordPress gives you a vast array of gorgeous templates to choose from that you can apply on your blog. This removes the necessity for you to hire a web developer to design your blog, because with easy to use templates that WordPress has to offer, you will be able todesign your blog yourself in no time. Akismet: This is a very handy plugin that will get rid of the ‘spam’ problem for you automatically, without you having to lift even a finger. The only thing you have to do is activate it, and it will automatically monitor the comments section of your blog posts to check and remove any spam posts that are made there. WordPress SEO: If the main aim of your blog requires more people to visit it, such as an interactive discussion blog, then you need traffic. And to get traffic you need to SEO your blog. Luckily, WordPress gives you a plugin to do just that. WordPress SEO selects an SEO Optimized Title, keywords and headings relevant to your blog posts to make your job much easier. WordPress has a much cleaner code as compared to other blog hosting websites on the internet. If you didn’t already know this, search engines love websites that have a clean code and have the tendency to list such websites on the top whenever a search entry is carried out. This is why if you host your blog on WordPress, it has a better chance of beating the competition it faces from similar blogs hosted on other blog hosting websites. This of course is a huge advantage for you in terms of the increased traffic that you will get as a result. There is no reason why you shouldn’t use WordPress for all your blog hosting needs. WordPress has been voted by people as the best blog hosting service on the internet, so you really have nothing to worry about. Post contributed by Daniel Ugi, a blogger and proud owner of directory listing review. 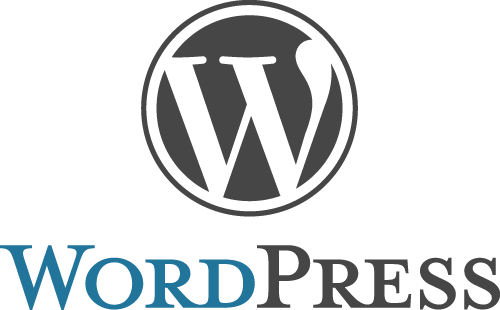 Nice post, i am a very big fan of WordPress, in this is very helpful article of increase my WordPress knowledge.